Helmut Rüffler was born on 18 January 1918 at Weißstein in the Waldenburg region of Niederschlesien. Rüffler was posted to the Ergänzungsgruppe/JG 3 on 28 September 1940 for operational training. On 1 February 1941, Unteroffizier Rüffler was transferred to 7./JG 3. He gained his first victory over the Eastern front on 22 June. By the end of 1941, he had nine victories to his credit. In April 1942, Rüffler was transferred to Ergänzung-Jagdgruppe Ost for a period of instructing. In July, he returned to combat duty with 1./JG 3, based on the Eastern front. In October, he claimed 18 victories, including three enemy aircraft on 2 October to record his 30th through 32nd victories, a further three enemy aircraft shot down on 17 October (36-38), his 40th victory on 24 October and five enemy aircraft shot down on 28 October (41-45). He recorded his 50th victory on 16 November. 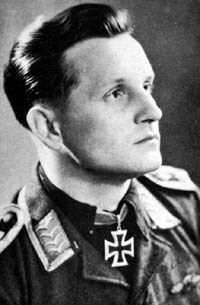 Feldwebel Rüffler was awarded the Ritterkreuz on 23 December for 51 victories. At the end of December, Rüffler fell ill and was hospitalised. Following his recovery from illness, Rüffler was transferred, as an instructor, to Ergänzungs-Jagdgruppe West on 15 June 1943. He served with the unit until 30 August. On 1 September 1943, Rüffler was transferred to 4./JG 3 operating on Reichsverteidigung duties. He recorded eight four-engine bombers and four fighters shot down over the Invasion front, including his 60th victory on 30 June. On 18 July 1944, he shot down two USAAF P-51 fighters southeast of Caen (62-63) but was then shot down himself in Bf 109 G-6 (W.Nr. 165 451) “White 13”. He was badly wounded in the engagement. In February 1945, Rüffler underwent conversion training on to the Me 262 jet fighter.  However, he was transferred to 9./JG 51, based on the Eastern front, on 1 March. During March and April, he claimed 25 victories. 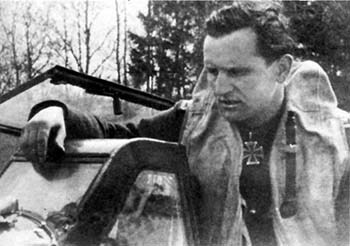 On 24 April, Rüffler, despite only holding the rank of Oberfeldwebel, was appointed Staffelkapitän of 9./JG 51 and led this unit to the end of war. Rüffler died on 21 September 2001 at Niederkassel, aged 83. Helmut Rüffler was credited with 88 victories in 690 missions. He claimed a further 10 victories that were not confirmed. He recorded 76 victories over the Eastern front. Of his 12 victories recorded over the Western front, eight were four-engine bombers.